MIAMI BEACH, Fla. - An armed robber stole nearly $8,000 in cash from a Miami Beach candy store, authorities confirmed. 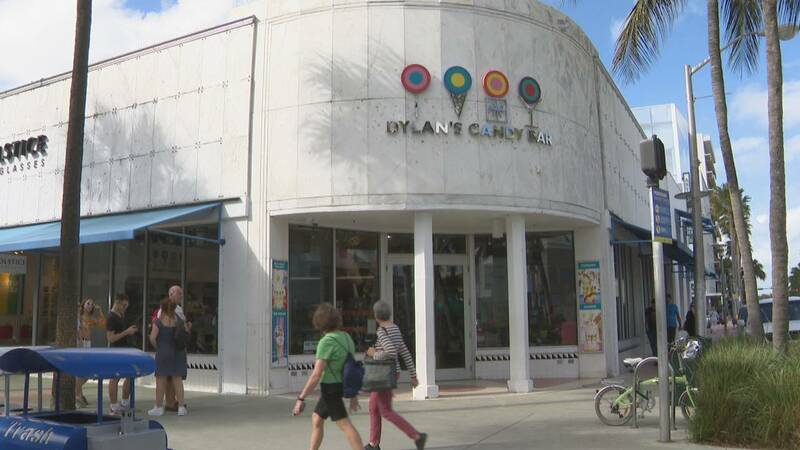 The robbery occurred shortly after midnight Monday at Dylan's Candy Bar at 801 Lincoln Road. Miami Beach police spokesman Ernesto Rodriguez said the masked thief entered the business through the manager's office and stole $7,931 while holding the victim at gunpoint. Rodriguez said there was a brief struggle between the victim and the robber, which caused the robber's gun to discharge once, striking an office wall. Rodriguez said the thief fled west on Lincoln Lane North. Rodriguez said detectives are "pursing several viable leads."